WhatMatrix's mission is to provide a comparison platform driven by visitor demand and IT community collaboration. All evaluations are based on in-depth technical analysis, and all comparisons are managed by independent community experts and consistently validated through open community curation. The third-party evaluation conducted for the SDS/HCI Landscape report featured 12 product offerings in the SDS/HCI market from vendors including Cisco, DataCore, Datrium, Dell/EMC, HPE, Microsoft, Nutanix, Pivot3 and VMware. "DataCore has long held a spot in our SDS/HCI leaderboard," said Herman Rutten, category consultant at WhatMatrix. "We have named DataCore a leader in the SDS/HCI Landscape Report 2018 as the result of a comparison of 115 rated criteria. Its product can be regarded as pure SDS and has a well-rounded set of features supporting a variety of use cases." DataCore SDS and HCI software provides a high-performance, highly available and agile storage infrastructure with low total cost of ownership for maximum efficiency. It enables enterprise storage services for physical and virtualized applications, including databases, in a cost-effective package. 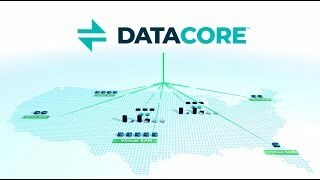 DataCore also recently announced a number of updates to its products, focusing on ease of use and high-speed networking technologies. These include persistent storage for Docker containers and a simpler, automated deployment for hyperconverged storage on VMware clusters. In an updated evaluation performed after the report was issued, these enhancements improved DataCore's leader position with a nearly 2% higher rating. "Our strong position as a leader in the WhatMatrix SDS/HCI category confirms what we hear from our customers – that our SDS and hyperconverged solutions deliver unmatched performance, reliability and economics," said Gerardo Dada, CMO at DataCore. "It is gratifying to be recognized as among the best in the industry." 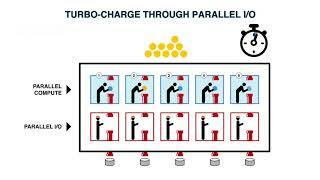 DataCore Software is the cornerstone of the next-generation, software-defined data center. DataCore's value has been proven in more than 10,000 customer deployments across traditional, hyper-converged, cloud, and hybrid environments. Visit http://www.datacore.com or call (877) 780-5111 for more information.